I’ll be at ARRC – will you? Testing 1..2… Is anybody still out there? My radio silence has stretched on far longer than I’d expected. Sorry about that, folks! The latter part of last year threw some personal challenges at me, but all is well and I’m coming out of the other side in one glorious piece. I had a writing deadline of end of Jan which I met after some intense writing sessions, and now Bound Together has winged its way to a publisher. Keep your fingers crossed on that one as I absolutely adore Callie & Nathan’s story and want to share it with the world! I’m taking a couple of months off having-to-write while I pack and move house, and then I’ll be working on the second draft of the next book in the Jacaranda Avenue series. 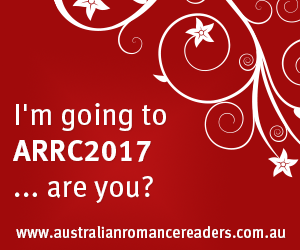 But in the meantime, I’ll be at the ARRA Convention (Australian Romance Readers Association) conference in February (25-26th) in Melbourne. It’ll be my first book signing event, and first ARRA conference and I’m pretty nervous about what to expect. If you’re there, please come and say hi so I’m not sitting pathetically on my own for the entire event!